Sometimes the stress of slaving over a hot stove on Christmas Day can get a bit much, even for the most confident of chefs. If you've been thinking about having Christmas Day Lunch in Newcastle this year I've done all of the hard work for you so all you need to do is pick up the phone and book yourself a table! Here's a little look at some of the restaurants and hotels in Newcastle serving up lunch on Christmas Day this year. Surely the very best Christmas Day lunch in Newcastle, it is my dream to one day book us a table for Christmas Day at Jesmond Dene House. The beautiful boutique hotel with its lit fires, traditional decorations and cosy atmosphere is the perfect place for you to spend the day with your loved ones. Whilst not the cheapest on offer, the food at Jesmond Dene House is always superb so you're guaranteed to have a Christmas Day lunch to remember. 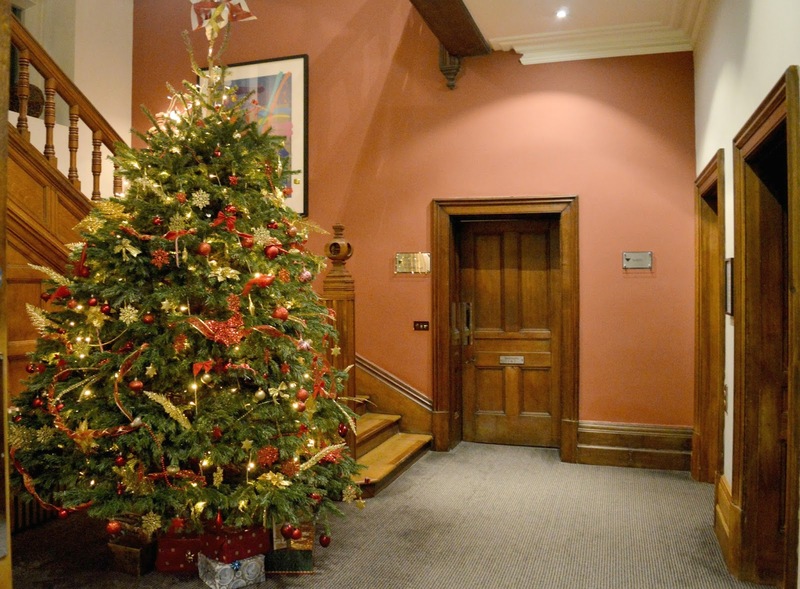 Dine in the Great Hall or Restaurant and indulge in a welcome glass of champagne and canapés before enjoying a four course lunch of Northumberland Game Terrine, Traditional Turkey Ballantine and Cranberry and Sherry Trifle whilst enjoying live seasonal music. If you have the room there's mince pies to finish and I've even heard whisper that the man in red might be dropping by! Join Pleased to Meet You for a four course feast on Christmas Day. The bar will be throwing open its doors on the big day where you can expect a welcome glass of prosecco before settling down to cream of Parsnip Soup, Traditional Butter Roasted Turkey with all the trimmings, Milk Chocolate Mousse with Poached Clementines and finish with tea and coffee served with mince pies and handmade chocolates. Being in the city centre you can enjoy a Christmas Day stroll through the city after your food, it's quite lovely walking through when all the shops are shut and there are only a few people about. 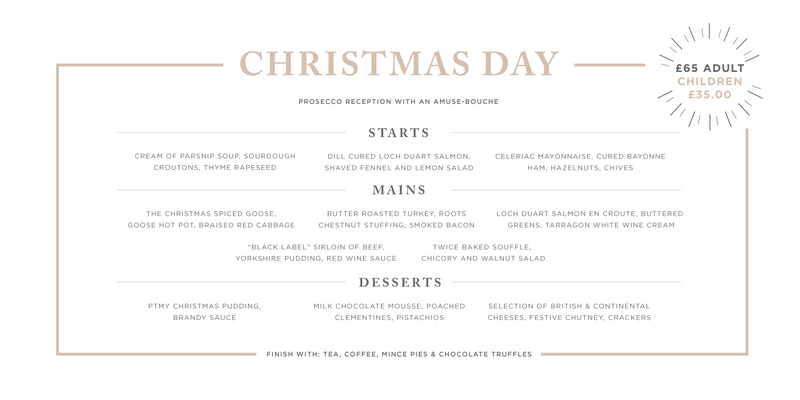 Enjoy champagne and canapés on arrival followed by a three course Christmas Day lunch at Marco Pierre White. With a choice of five dishes per course, my top picks are Lobster Terrine followed by 28 day ages Northumbrian beef fillet and finishing nicely with Traditional Christmas pudding with lashings of brandy sauce. £85.50 per person, check out the full menu here. To book call 0191 300 9222. Christmas Day lunch on the Newcastle Quayside, how good does that sound? 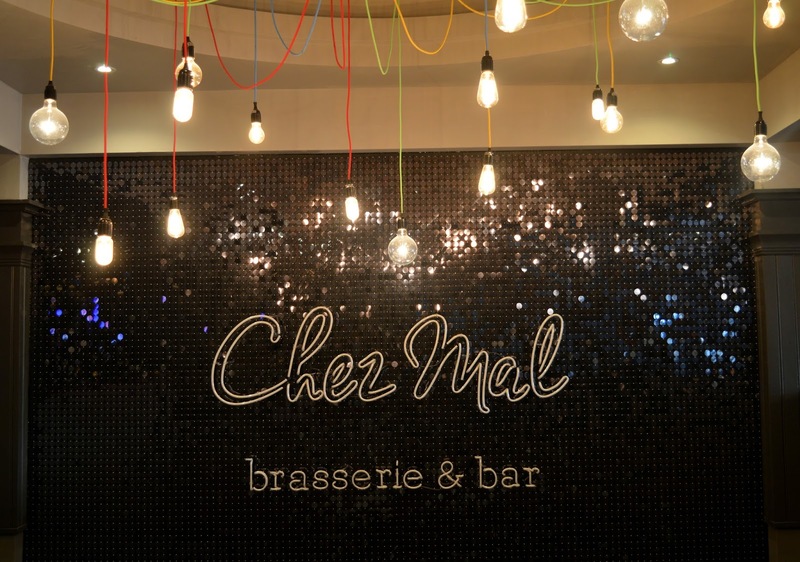 Chez Mal Brasserie at the Malmaison Hotel are serving Christmas Day lunch this year with Roast Turkey Breast and Classic Christmas Pudding both appearing on the menu. Your meal will end with coffee and chocolate truffles and if you're not quite ready to roll home after all that then grab yourself a comfy booth in the bar and enjoy one of the hotel's fancy cocktails. If you can't treat yourself on Christmas Day then when can you? The Hilton Gateshead are putting on a Christmas Day spread this year in their Windows on the Tyne restaurant. Take in the perfect views of the Tyne Bridge as you enjoy your arrival Champagne cocktail and canapés before sitting down for a four course menu. Crispy brie parcels, Roast fillet of hake and a trio of desserts are just some of the dishes you can enjoy before tucking into the final cheese course. Coffee and tea with petite fours will finish off your lunch and entertainment will be provided by Charles Gordon who will be playing the Christmas classics and the children will receive a gift. At the time of writing, there's not a lot of information available about Christmas Day lunch at the Vermont, it's all a bit of a mystery. Kir Royale and canapés on arrival are promised as well as a four course festive lunch. £79.95 per adult and £34.95 for children. There's no menu available online at the moment. To book call 0191 233 1010 and if you find out what the menu is please do let me know! Six is one of my favourite restaurants in Newcastle and spending Christmas Day with that beautiful view across the River Tyne would make your celebrations pretty special. Six are serving a three course Christmas Day Lunch with Treacle Cured Salmon, Thyme Butter Roast Turkey and Sticky Toffee Pudding all appearing on the menu. A Christmas Day family selfie on the Millennium Bridge is a must and you'll probably need a nice brisk walk along the Tyne after all that food. The cheapest Christmas Day Lunch in Newcastle, we actually went here for Christmas Day Lunch ourselves in 2015. Bonbar are serving a traditional family lunch starting with a Prosecco reception. Enjoy Roast Butternut squash Soup, hand carved turkey and amaretti Christmas pudding before treating yourself to a mince pie. A special appearance by Santa finishes the meal with a gift for every child. 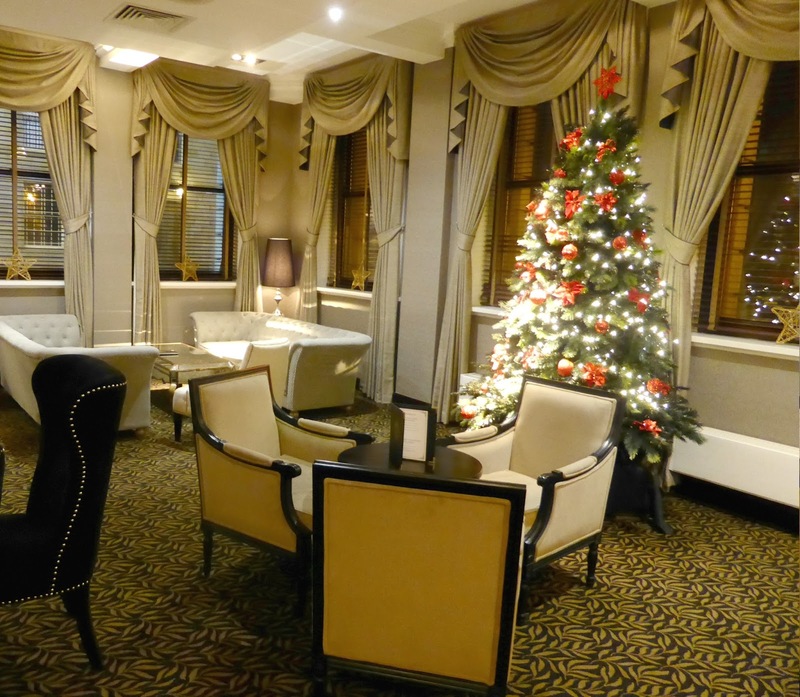 Hotel Du Vin is one of the most beautiful hotels in Newcastle and I should imagine it looks even more special on Christmas Day. The hotel will be serving up a three course meal with my top picks being Lobster Theermidor Tart to start followed by Roasted Turkey Ballotine and finishing with Baked Alaska Yule Log. The meal finishes with tea, coffee, mince pies and clementines - a feast that Santa himself would be proud of. Leading the way with the amount of courses, Browns promise a five course affair including Spiced parsnip and apple soup, roast breast of turkey, warm apple tart, a cheeseboard and (if you can fit it in) mince pies and chocolate truffles. Being half way up a pretty steep hill there's the fun option of rolling down to the Quayside after your food which could be useful after all that food. 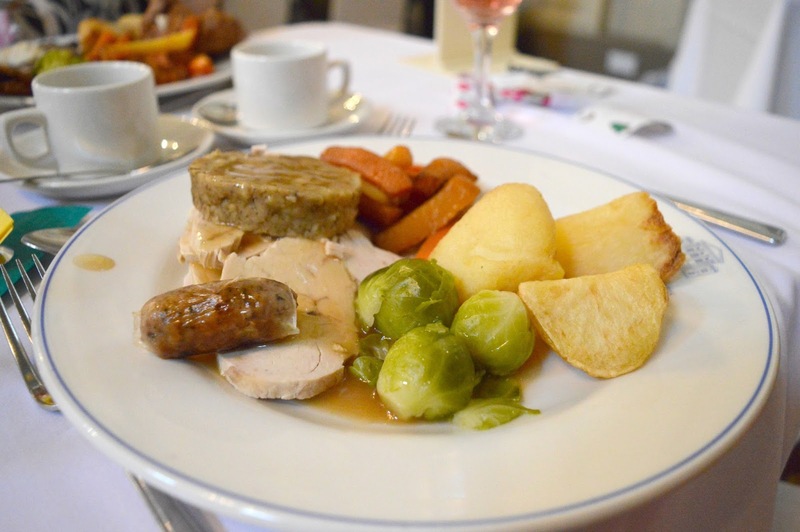 Is anyone planning on having Christmas Day Lunch in Newcastle this year? Let me know where you're planning to visit.